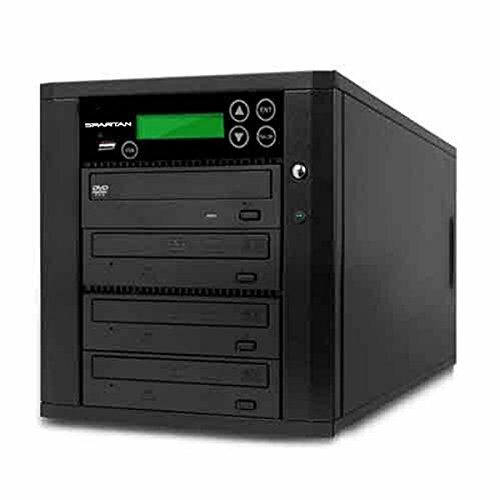 New to the best-selling Spartan duplicators family is Duo, the multifunction DVD/CD duplicators with One-Touch USB duplication and SmartKeys designed to save you time and money. One of the key features for Duo is to convert your saved files/data from USB to be copy to a DVD or CD Disc. Duo features proven DVD/CD duplicator technology and added convenient Shortcut One-Touch for USB-to-Disc duplication function, right next to the USB reader. Spartan Duo gives you the convenience of two duplicators in one helping you to get more done in less time! It can do both USB to Disc Duplication and Disc to Disc Duplication!